В дело T-512/10 Европейският съд излезе с решение, споде което потребителите биха идентифицирали израза ‘dynamic support’, като описателен за характеристиката на стоката обувки. Предлагането на динамика за подобни стоки е съществен елемент при тяхното маркетиране, което влияе и на потребителския избор. Поради тези причини заявката за марка ‘Dynamic support’ с притежател NIKE е отхвърлена на абсолютни основания. In Case T-512/10 the General Court issued a decision, said that consumers would identify the expression 'dynamic support' as descriptive for the characteristics of shoes. Offering dynamics regarding such goods is an essential element in their marketing which affects consumer choice. 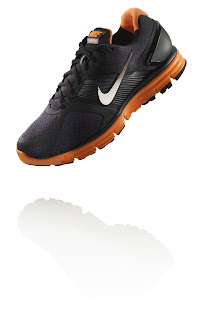 For these reasons the trademark 'Dynamic support' applied by NIKE was rejected on absolute grounds. Европейският проект EUscreen стартира успешно, като част от програмата на Европейската комисия Euro­peana. Чрез него ще се предоставя достъп до аудиовизуалното наследство на Европа. Euro­peana от своя страна стартира през 2008 година, като предоставя online достъп до огромно количество европейски аудиовизуални, музикални произведения и произведения на литературата. The European project EUscreen started successfully as a part of the European Commission's program Europeana. It will provide access to audiovisual heritage in Europa. Europeana, in turn, launched in 2008, providing online access to a huge amount of European audiovisual, musical and literary works. JVC се присъедини към патентния пул One-Blue, като лицензодател на технологията свързана с Blue ray. Компанията е поредния участник в този пул наред с Cyberlink, Hewlett-Packard, Hitachi, Panasonic, Philips и Sony. Целта на пула е да създаде обща патентна база чрез която да се постига по-голяма ефективност при развитието и използването на Blue ray технологията, както и да защитава от патентни претенции на други конкуренти. JVC joined the patent pool One-Blue as licensor of the technology associated with Blue ray. The company is one of the participants in this pool together with Cyberlink, Hewlett-Packard, Hitachi, Panasonic, Philips and Sony. The purpose of the pool is to create a common patent base through which to achieve greater efficiency in the development and use of the Blue ray technology and to protect against patent claims by other competitors. Патентното ведомство на Великобритания проведе интересна конференция касаеща влиянието, което имат правата на дизайна върху индустриите. Може да откриете аудио записи от събитието тук. Изследването върху темата проведено от Патентното ведомство може да откриете тук. The UK Patent Office held an interesting conference concerning the impact of design rights on the Design sector. You can find audio recordings of the event here. The study on the topic conducted by the Patent Office can be found here. Пет стъпки за защита на вашите марки в интернет е заглавието на статия на Liisa M. Thomas and Robert H. Newman, която може да откриете тук. 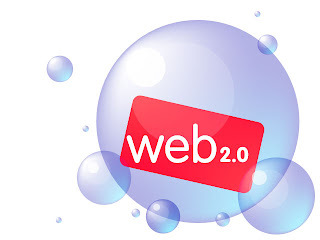 Five Steps to Protect Your Trademarks in the Web 2.0 World is the title of the article by Liisa M. Thomas and Robert H. Newman, which can be found here. The German Federal Supreme Court излезе с решение по дело I ZR 140/10 of 19 October 2011- Vorschaubilder II. Делота касае предоставен достъп от Google до снимки на фотограф, чрез функцията за търсене Google Images, при която след написване на съответната дума излизат всички асоциирани снимки с нея. Според съда Google не нарушава авторското право върху изображенията, тъй като те са качени от трети лица. Ако тези трети лица са нямали правото да използват изображенията, то авторите могат да имат претенции спрямо тях. Google Images дава достъп до хиляди изображения за които се прилага концепцията за получено разрешение за тяхното качване в интернет. Google може да носи отговорност ако е знаел за това че изображенията нарушават авторски права и не е предприел нищо за преустановяване на достъпа до тях. Това е в синхрон и с решение на Европейския съд в тази насока. The German Federal Supreme Court ruled in Case I ZR 140/10 of 19 October 2011 - Vorschaubilder II. The case concerned the access to photos of the photographer by using the search function Google Images. By this after writing one word, it is shown all images associated with it. 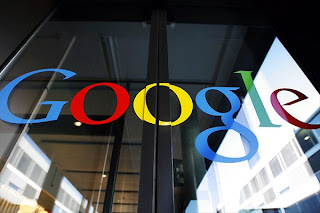 According to the court Google does not infringe the copyright of the images as they are uploaded by third parties. If these third parties are not allowed to use images, the authors can take legal action against them. Google Images provides access to thousands of images for which it can be applied the concept of "implied consent". Google may be liable if the company knew about the fact that these images infringe copyright and don't take any actions to stop access to them. This is in line with the European Court's decision in this regard. information on the IP Kat. 1.Международен семинар „Административно управление на търговските марки”, Тайпе, Тайван. За повече информация тук. 2. Какво трябва да знаят адвокатите за America Invents Act. 3. Fujifilm съди Eastman Kodak за патенти за дигитални фотоапарати. 1. International Seminar "Administrative Management of trademarks", Taipei, Taiwan. For more information here. 2. What should lawyers to know about America Invents Act. 3. Fujifilm has sued Eastman Kodak for patents for digital cameras. 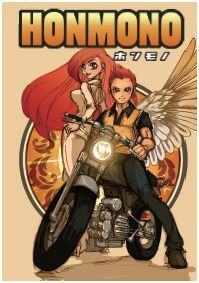 HONMONO is my first manga. It was harder than I thought to write a story from scratch from start to finish. In the production process, I was greatly inspired by the various professionals who were involved in the project. This experience has been a very valuable one for me. Above all, I really appreciate the approach of the people at WIPO and the editorial staff toward my work. Because they respected the originality of the work and my own creative process, I was able to work on the story in my own way. I am grateful to all concerned for this fantastic opportunity and the environment they provided for me, which empowered me to produce my first manga. I am very motivated to work hard to build on this experience and hope to produce more manga that will be popular with readers. Thank you very much! Целият текст на комикса може да откриете тук. The entire text of this comics can be found here. Икономическата комисия на ООН за Европа публикува интересно изследване озаглавено „Intellectual property commercialization. Policy options and practical instruments” от септември 2011 година. Документа обхваща различни теми свързани с ролята на интелектуалната собственост за иновациите, комерсиализацията на IP активите, технологичният трансфер, оценката на интелектуалната собственост и др. this regard. Well-designed intellectual property rights systems give temporary exclusive rights to inventors and thereby increase their chances to recover the often substantial upfront investments they need to make to generate innovations and to bring them to market. Intellectual property rights systems should also make it possible for innovators to sell, license or give away the rights to their innovations to others, who may be better placed to exploit them. 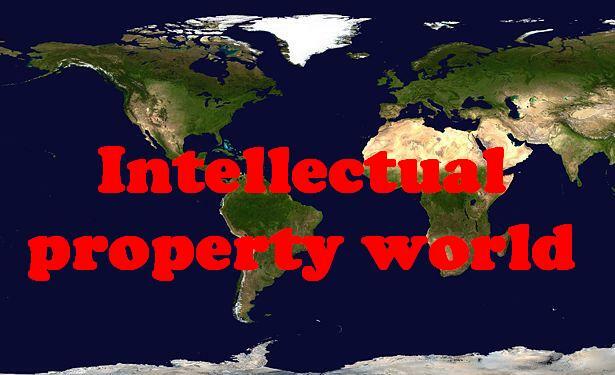 In other words, intellectual property rights are a key prerequisite for intellectual assets to emerge in markets. 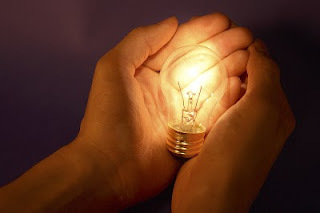 Well-designed intellectual property rights systems also encourage innovators to disclose their knowledge so that future innovators can build on it, thereby helping to accelerate the rate of innovation. available for use by future innovators and competitors. significant scope for policymaking at the national level. property regime are consistent with and integrated into a larger effort to improve the policy, legal and regulatory framework promoting innovation and competitiveness. The effectiveness of the intellectual property regime depends in large part on progress made in the design and governance of national innovation systems, the creation of suitable framework conditions for the financing of innovation, and the promotion of innovative„ entrepreneurs and SMEs. While these issues are beyond the scope of the present document, they are being addressed within the other thematic areas of the CECI Programme of Work. Given that the effectiveness of IP policies depends on the broader policy, regulatory and legal environment, any policy recommendations regarding the development of IP regimes in countries with economies in transition need to be considered as part of a thorough analysis of the relevant conditions prevailing in the respective national economies. Beyond the design of the legal framework, intellectual property can contribute effectively to knowledge-based economic development only if the key stakeholders in the innovation process have the capacity to actually make optimal use of the intellectual property system. Even in the leading innovative economies of the UNECE region, research time and again finds that by far not all stakeholders have this capacity. The innovation process, i.e. the process of turning inventions and other forms of new knowledge into production processes, product or services which are commercially successful and generate new jobs and economic growth, is far from automatic. It is fraught with business risks and frequently requires massive capital investments over long periods of time. therefore specifically discusses IP management in universities and other public research. organizations and SMEs face in using the IP system, and on the policy options available to support them in this. Interdependencies exist across various IP policies. For instance, policies aimed at improving IP management capabilities at research organizations or small enterprises are unlikely to have a big impact unless the legal protection of IP is sufficiently strong and enforcement of IPRs is effective. Policies aimed at strengthening legal protection of IP and enforcement of IPRs are unlikely to enhance economy-wide innovative capacity and competitiveness if potential innovators lack the awareness, skills or resources to access the legal IP system or to manage their IP judiciously. Policy should therefore address simultaneously weaknesses in the IP regime along the entire spectrum from the management of IP in research organizations, enterprises and financial firms to the legal and institutional system for IP protection, and to IPR enforcement. Целият текст на изследването може да откриете тук. The United Nations Economic Commission for Europe published an interesting study entitled "Intellectual property commercialization. Policy options and practical instruments ", September 2011. It covers various topics related to the role of intellectual property for innovation, commercialization of IP assets, technology transfer, intellectual property valuation and others. The entire text of the survey can be found here. 09 - 11 ноември 2011 г. 1. Подобрения в Google Patent Search. 2. Microsoft и Quanta Computer подписаха патентно споразумение, покриващо Android и Chrome-базирани устройства. 3. Влиянието на „пиратите” в Европейския парламент нараства. 1. Some improvements in Google Patent Search. 2. 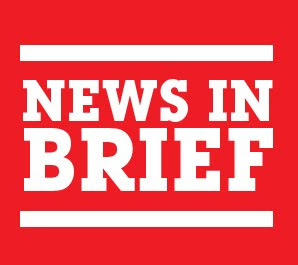 Microsoft and Quanta Computer signed a patent agreement covering Android and Chrome-based devices. 3. The influence of "pirates" in the European Parliament increased. Smartcompany.com публикува интересна статия на Madeleine Heffernan касаеща брандинг войната между производители и търговски вериги в Австралия. Става дума за така наречените частни марки на търговските вериги, които много успешно опитвали да копират визията на аналогичните известни марки на производителите. Това копиране обаче в повечето случаи било в рамките на закона. Имитирането касаело най-вече използване на идентичен цвят на опаковките, общи елементи на тях и тн. По този начин търговските вериги опитвали да наложат своите частни марки сред потребителите. Видеото по-долу показва няколко такива примери от Австралия. Основният извод от статията е че средството за противодействие от страна на производителите е много внимателно да преценяват своята брандинг стратегия, така че тя да бъде напълно уникална и неповторима. По този начин те ще създадат трайна и трудно разрушима връзка с потребителите. Тогава дори и да има наличие на имитиращи продукти, оригинила винаги ще бъде разпознаван успешно. Smartcompany.com published an interesting article by Madeleine Heffernan concern branding war between manufacturers and retailers in Australia. The article concerns the so-called private brands of retailers that many successfully tried to replicate the vision of the similar famous brands belong to manufacturers. This copy, however, in most cases was within the law. The imitation includes in particular the use of identical color, equal packaging elements and so on. Thus, retailers tried to impose their private brands among consumers. The video below shows some examples from Australia. The main conclusion of the article is that the means of counteracting by manufactures to this practice is to carefully consider its branding strategy so that it can be completely unique. In this way they will create a lasting and difficult destructible connection with consumers. And even if there is an imitation products, the original will always be recognized successfully. Едно изключително интересно решение на Административния съд в Швейцария, което потвърждава решението на Патентното ведомство да откаже регистрацията на марка JumboLine за прозорци на абсолютни основания. Причините според съда са че първата част от марката Jumbo ще се възприеме от потребителите като знак за размер (голям), а втората част от марката Line, като продуктова линия. Тоест потребителите биха възприели марката, като линия за големи прозорци. Решението може да бъде обжалвано пред Върховния съд но шансовете за успех за малки с оглед на факта, че през последните 12 години съдът е потвърждавал в почти всички случаи решенията на Патентното ведомство, когато е ставало дума за отказ на абсолютни основания. Това потвърждава изключително стриктната политика на властите в страната по този въпрос. A very interesting decision of the Administrative Court of Switzerland which upheld the decision of the Patent Office to refuse registration of a trademark JumboLine for windows on absolute grounds. According to the court the reasons are that the first part of the mark Jumbo will be perceived by consumers as sign of size (big) and the second part of the mark Line as a product line. That is, consumers would perceive the mark as a line of big windows. The decision could be appealed to the Supreme Court but the chances for success are small taking into account the fact that in the last 12 years the court almost always agree with the Patent Office when it was matter of refusals on absolute grounds. This confirms the very strict policy of the authorities in the country on this issue. Патентното ведомство на Сърбия е приело, че списанието VOGUE е общоизвестна марка на територията на страната, поради което не е допуснала регистрацията на заявена марка VOGUE за часовници от сръбската фирма Pentaflon. Според ведомството подобна регистрация би извлякла неоснователно ползи от репутацията на известната марка VOGUE. Макар стоката часовници да не е идентична с стоките от клас 16, то характерното за списания, като VOGUE е да рекламират различни модни стоки включително и часовници. Поради това потребителите биха асоциирали марката за часовници с тази на списанието. The Patent Office of Serbia issued that VOGUE magazine is a well-known mark in the country and refused the registration of a mark VOGUEG for goods- watch applied by the Serbian company Pentaflon. According to the Office such registration would take unfair advantage of the reputation of the famous mark VOGUE. Although watches is not identical with the goods in Class 16, it is typical for magazines such as VOGUE to advertise various fashion goods including watches. 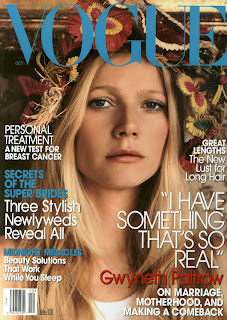 Consequently, consumers would associate the brand for watches with that of the magazine. IP Finance съобщава, че LG са завели съдебно дело срещу BMW и Audi в Южна Кория относно претенция за нарушаване на патенти за LED светлини използвани от автомобилните производители, които внасяли коли в страната. Интересното е че тези LED светлини се произвеждат от OSRAM, които от своя страна съдят LG, че ги използва без разрешение. Така или иначе патентната LED каша е пълна. Но защо LG започват подобни съдебни дела. BMW са най-известния вносител на автомобили в Южна Корея на продажбите им там са малки в сравнение с целия пазар на коли в страната. Може би причината за съдебните дела е в даването на ясен сигнал от страна на LG, че ще съдят всеки които се опитва да използва технология, за която притежават патенти. 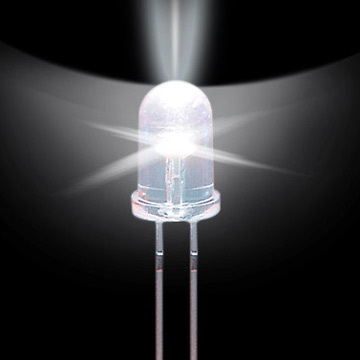 IP Finance reported that LG have filed a lawsuit against BMW and Audi in South Korea concerning a claim for infringement of patents for LED lights used by car manufacturers which imported cars in the country. It is interesting that these LED lights are manufactured by OSRAM indeed, which in turn sue LG. Anyway theLED patent mess is complete. But why LG initiate similar lawsuits. BMW is most famous importer of cars in South Korea but their sales are small compared with the total market of cars in the country. Perhaps the reason for litigation is in giving a clear signal from the LG that they will sue every company which tries to use their patented technology. PatantlyO публикува интересна статия на Michael Risch професор от the Villanova University School of Law относно това до каква степен патентните тролове действително са вредни и какви са митовете свързани с тях. За да отговори на поставените въпроси професор Risch осъществява свое изследване, което може да откриете тук. - Are Litigious NPEs a Recent Phenomenon? - Are NPE Patents All Business Methods? - Are NPE Patents Low Quality? - Do NPE Patents Come From Nonproductive Endeavors? - Who Obtained NPE Patents? - Do NPEs Get Their Patents from Fire Sales? - Do NPEs Really Wait for an Industry to Develop? - Do NPEs Promote Investment in Startups? - Are Small Companies Crushed by Larger Infringers? - Do NPEs Provide Better Enforcement Avenues for Individuals? 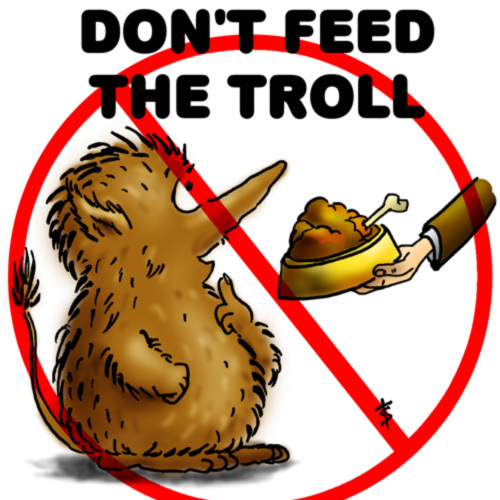 PatantlyO published an interesting article by Professor Michael Risch the Villanova University School of Law on the extent to which patent trolls are actually harmful and what are the myths associated with them. To answer the questions Professor Risch performed a study which can be found here. Митниците във Валенсия основавайки се на EU Regulation 1383/2003 задържат пратка от стоки обозначени с логото на ФК Барселона, които били доставени от Китай с крайна дестинация Италия. Митниците сезирали футболният клуб за откритите стоки. Барселона завежда съдебно дело в криминалния съд на Валенсия, който отказва да образува дело защото стоките били предназначени за Италия и именно там трябва да бъде заведено делото. Апелативният съд във Валенсия отхвърля това решение на първоинстанциония съд, като счита че щом стоката е влязла на територията на Испания макар и с цел препращане към Италия, това е предпоставка за възможно незаконно разпространение на част от стоката и в Испания. Customs in Valencia based on EU Regulation 1383/2003 detain a consignment of goods bearing the logo of FC Barcelona which were delivered from China to Italy through Spain . Customs informed the football club for those commodities. 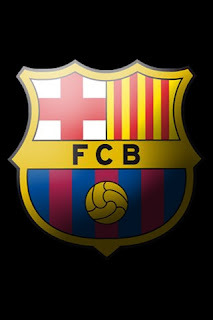 Barcelona filed lawsuit in the criminal court of Valencia which refused to institute proceedings because the goods were destined for Italy and that there should be brought. The Court of Appeal rejected this decision believing that once the products have entered the territory of Spain, although to refer to Italy, it is a prerequisite for possible illegal distribution of the goods in Spain. 1. Над 6000 артикула с чужда търговска марка са иззети при спецакция на ГДБОП. 2. Проведеното в Сеул, Корея, изложение PATINEX 2011 е голямо събитие, което предоставя поглед към световния патентен пейзаж. За повече информация тук. 1. Over 6000 commodities with infringing trademarks were seized in a police campaign in Bulgaria. For more information here. 2. The PATINEX Fair 2011 in South Korea is a major event that provides insight into the global patent landscape. For more information here. 3. How to develop and control your intellectual property budget to achieve competitive advantage. В седмицата когато президента на Бразилия г-жа Дилма Русев посети Европа включително и България, патентните ведомства на ЕС и Бразилия подписаха споразумение за сътрудничество. Целта на документа е да засили връзките между двете ведомства и да бъде стимул за обмен на патентна информация, знания и технологии. Бразилия е шестата по-големина икономика в света, което я прави привлекателен бизнес партньор за Европа. In the week when the President of Brazil, Mrs. Dilma Rousseff visited Europe including Bulgaria, the Patent Office of the EU and Brazil signed a cooperation agreement. Its purpose is to strengthen ties between the two agencies and to be an incentive for the exchange of patent information, knowledge and technology. 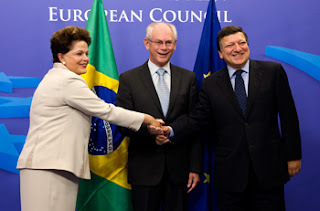 Brazil is the sixth largest economy in the world making it an attractive business partner for Europe. Това дело е много показателно, че понякога е без значение какви са аргументите за сходство или идентичност при опозиции на търговски марки. В конкретния случай съдът потвърждава решението на Апелативния борд и отхвърля опозицията. Основанието е процедурна грешка допусната от Adidas, която се изразява в непредоставяне в срок на превод на свидетелството за регистрация на по-ранната марка. Това от своя страна е причина да се счете, че няма доказване на съществуването на по-ранната марка, което реално проваля опозицията. This case is very significant that sometimes it's no matter what arguments for similarity or identity in opposition were being submit. In this case, the court upheld the Board of Appeal decision and dismissed the opposition. The ground is a procedural error made by Adidas, which is expressed in failure to submit a translation of a registration certificate of the earlier mark. This in turn is reason to consider that there is no proof of the existence of the earlier mark, which failed the opposition. Европейският съд се произнесе по дело T-174/10, с което отхвърли жалбата срещу решение на Апелативния борд, според който няма сходство между марка представляваща буква А и друга марка А с изображение на два рога за класове 18 и 25. Според съда има много малко сходство във визуално и концептуално естество но слабата отличителност на по-ранната марка е причина да се счете, че не е налице сходство, което да доведе до объркване сред потребителите. The European Court ruling in Case T-174/10 and dismissed the appeal against the decision of the Appeal Board under which there is no similarity between the mark representing the letter A and another trademark A with two horns for classes 18 and 25. According to the court there is very little visual and conceptual similarity but the weak distinctness of the earlier mark is reason to consider that there is no similarity leading to confusion among consumers. Финландия подписа лондонското споразумение към Европейската патентна конвенция. Конвенцията влиза в сила за страната от 1 ноември 2011 година. Finland signed the London Agreement of the European Patent Convention. The convention enters into force for the country on 1 November 2011.
петък, 7 октомври 2011 г.
Европейското патентно ведомство публикува обновено ръководство от 2011 година относно PCT процедурата пред ведомството. The European Patent Office publishes updated guidance since 2011 concerning the PCT procedure before the Office. 1. Според анализатори Microsoft получава $ 444 милиона годишно от лицензи за Android. 2. Авторското право срещу Закона за конкуренцията – ново начало за европейските радио и телевизионни предавания?За повече информация тук. 3. Бъдещето на нетрадиционните търговски марки в Европа. 1. Analysts say Microsoft gets $ 444 million annually from licenses for Android. 2. Copyright law against the competition - a fresh start for European radio and television broadcasts? For more information here. 3. The future of non-traditional trademarks in Europe. Световните патентни войни, които са в разгара си, определят и нови правила за пазарна конкуренция. Това е и причината за появилата се новина за сътрудничество между Microsoft и Samsung. Двете компании постигнаха съгласие Microsoft да предостави определен брой патенти на Samsung, срещу което да получи годишен роялтис. Тази сделка е интересна с оглед на факта, че Microsoft са в директна конкуренция с Apple и Google, а Samsung продава смарт телефони с платформата на Google Android. World patent wars are in full swing and they set new rules for a market competition. In this regard it is interesting the news for co-operation between Microsoft and Samsung. The two companies achieved agreement by which Microsoft will give a number of patents to Samsung and will receive annual royalty. This deal is interesting in view of the fact that Microsoft is in direct competition with Apple and Google and Samsung smartphones use the Google's platform Android. Европейската комисия приветства произнесеното днес становище на Съда на Европейския съюз (СЕС) относно съвместимостта на предвижданото споразумение относно Съда за европейски патенти и патенти на ЕС с Договорите за Европейския съюз. След произнасянето на становището предстои Комисията да го анализира много внимателно, за да открие подходящите решения. Становището не би трябвало да повлияе на решението, което държавите-членки трябва да вземат на 10 март в рамките на Съвета по въпросите на конкуренцията след съгласието на Европейския парламент, с което бе разрешено пристъпването към засилено сътрудничество в областта на единната патентна защита. Създаването на такава защита се разграничава правно от създаването на Европейски патентен съд. Важно е да не се изгуби инерцията от провежданите в продължение на десетилетия дискусии по патента на ЕС и да се намери бързо и успешно решение посредством засилено сътрудничество. Успоредно с това, след като Съдът се произнесе, Комисията ще потърси също толкова незабавно подходящ начин за развиване на Системата за патентно съдопроизводство. През юни 2009 г. към СЕС беше отправена молба да се произнесе. В становището се констатира, че предвижданото споразумение относно Европейския патентен съд в сегашния си вид е несъвместимо с Договорите за ЕС. Комисията ще анализира много задълбочено опасенията, повдигнати от СЕС и ще работи съвместно с Председателството на Съвета и държавите-членки, за да открие възможно най-бързо оптималните решения в интерес на патентната система и нейните потребители. Споразумението относно Европейския патентен съд и създаването на единна патентна защита посредством засилено сътрудничество са два отделни проекта. За държавите-членки не съществува правна пречка да приемат на 10 март, както е запланувано, решението, което разрешава чрез засилено сътрудничество да се създаде единна патентна защита. След като становището е вече налице, успоредната работа по патентното съдопроизводство може да се възобнови със същите темпове, както и работата по самия европейски патент. Целта на предвижданото споразумение — във вида му, предаден на СЕС — е да се учреди унифицирана Система за патентно съдопроизводство с оглед да се намалят настоящите разходи и сложност вследствие паралелното съдопроизводство в няколко държави-членки и да се осигури правна сигурност чрез избягване на противоречащи си съдебни решения. Европейският патентен съд, както се предвижда в проектоспоразумението, би се състоял от Първоинстанционен съд (с едно централно отделение и местни и регионални отделения в различните държави-членки) и от Апелативен съд. Той ще разполага с изключителни правомощия при производства по европейските патенти, издавани от Европейската патентна организация, и по единната патентна защита. Европейският патентен съд ще бъде задължен да отправя преюдициални запитвания до СЕС в случай на съмнения относно тълкуванията на правото на ЕС. Европейският патентен съд ще се учреди посредством „смесено споразумение“ между ЕС, държавите-членки на ЕС и трети държави, които са Договарящи държави по Европейската патентна конвенция. Проектоспоразумението относно Съда за европейски патенти и патенти на ЕС бе разработено в Съвета след повторното стартиране през 2007 г. на дебатите за реформа в патентите. През март 2009 г. Комисията прие препоръка към Съвета да я упълномощи да започне преговори по проектоспоразумението с държавите, които не са членки на ЕС. През юни 2009 г. Комисията поиска от СЕС да се произнесе относно съвместимостта на проектоспоразумението с Договорите за ЕС. През декември 2009 г. Съветът единодушно прие заключенията относно усъвършенстване на патентната система в Европа, които съдържаха и важни елементи относно Европейския патентен съд. Преговорите относно създаването на патент на ЕС не се увенчаха с успех в края на 2010 г., тъй като държавите-членки не достигнаха до единодушно споразумение относно приложимия езиков режим. На 14 декември 2010 г. по искане на 12 държави-членки Комисията, от името на комисар Барние, представи предложение да се разреши засиленото сътрудничество в областта на създаването на единна патентна защита. До момента 25 държави-членки са поискали да участват в засиленото сътрудничество. Европейският парламент даде съгласието си на 15 февруари. Решението на Съвета за разрешаване на засиленото сътрудничество се предвижда за 10 март. The European Commission welcomes the delivery today of the opinion of the Court of Justice of the EU (CJEU) on the compatibility of the envisaged agreement on the European and EU Patent Court with the EU Treaties. Now that the opinion is available, the Commission will analyse it very carefully with a view to identifying appropriate solutions. 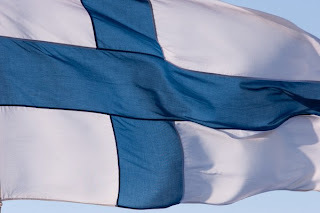 The opinion should have no impact on the decision foreseen to be taken by Member States on 10 March at the Competitiveness Council following the consent of the European Parliament authorising a move to enhanced cooperation in the area of unitary patent protection. The creation of unitary patent protection is legally distinct from the creation of the European Patent Court. It is important to maintain the momentum to bring decades of discussion on the EU patent to a quick and successful solution through enhanced cooperation. In parallel, the Commission will work equally quickly to find an appropriate way forward for the Patent litigation system following the Court's opinion. The CJEU was asked to deliver its opinion in June 2009. It found that the envisaged agreement on the European Patent Court in its current state is incompatible with the EU treaties. The Commission will analyse the concerns raised by the CJEU very carefully and will work with the Presidency of the Council and the Member States to find as quickly as possible the best solutions in the interest of the patent system and its users. The agreement on the European Patent Court and the creation of the unitary patent protection through enhanced cooperation are two distinct projects. There is no legal reason for Member States not to adopt the decision authorising enhanced cooperation creating unitary patent protection on 10 March as foreseen. Now that the opinion is available, the parallel work on patent litigation can resume with the same momentum as the work on the European patent itself. The objective of the envisaged agreement, as it was submitted to the CJEU, is to set up a unified Patent Litigation System with a view to reducing the existing cost and complexity resulting from parallel litigation in several Member States and providing legal certainty by avoiding conflicting judgments. The European Patent Court as envisaged by the draft agreement would consist of a Court of first instance (with a central division and local and regional divisions in the different Member States) and an Appeal Court. It would have exclusive competence for proceedings relating to European patents granted by the EPO and for the unitary patent protection. The European Patent Court would be obliged to make a preliminary reference to the CJEU in case of doubts about the interpretation of EU law. The European Patent Court would be set up through a "mixed agreement"1 between the EU, its Member States and third countries who are Contracting States of the European Patent Convention2. The draft agreement on the European and EU Patent Court was developed in the Council after the relaunch of the patent reform debate in 2007. 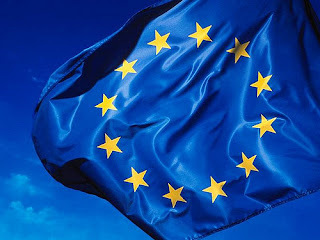 In March 2009, the Commission adopted a Recommendation to the Council to authorise the Commission to open negotiations on the draft agreement with non-EU countries. In June 2009, the Council submitted a request to the CJEU on the compatibility of the draft agreement with the EU Treaties. 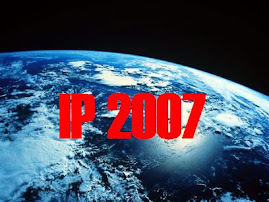 In December 2009, the Council unanimously adopted conclusions on an enhanced patent system in Europe which also covered major elements for the European Patent Court. The negotiations on the establishment of the EU patent failed at the end of 2010 because Member States were not able to agree unanimously on the applicable language regime. On 14 December 2010, on the basis of requests from 12 Member States, the Commission, under Commissioner Barnier's authority, submitted a proposal to authorise enhanced cooperation in the area of the creation of unitary patent protection. To date, 25 Member States have requested to participate in the enhanced cooperation. The European Parliament gave its consent on 15 February. The Council decision authorising enhanced cooperation is foreseen for 10 March.